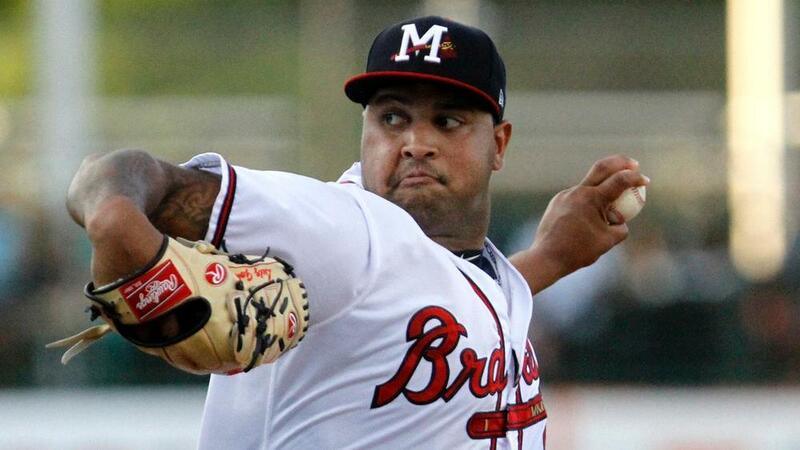 Luiz Gohara underwent his first rehab start in AA on Tuesday and was shelled in his one inning allowing five runs on four hits and a walk. He's going to make a start with AAA Gwinnett on Sunday and then again on the 27th before the team evaluates where he is at in his recovery.... Anibal Sanchez is currently on the 10-day DL with a strained right hamstring after injuring it running before the game. He has carted off the field but it sounds like he may not miss more than the 10 days he's scheduled to miss.... No new news on the Corey Knebel front, Brewers still hopeful he can return towards the end of May.... Jimmy Nelson threw from 150 feet the week of April 9th but there have been no major developments in his return.... Alex Reyes is going to begin his rehab assignment in mid-May and GM John Mozeliak says he'll have a spot in the rotation when he is ready.... Taijuan Walker underwent Tommy John surgery this week and is likely out until late 2019.... Rich Hill is dealing with a broken nail but played catch Friday and felt great even saying that he could start today (Friday) if given the chance. It sounds like he won't miss more than the 10 days he has to miss.... Madison Bumgarner has had the pins removed from his broken finger and the team is hoping he can return to the rotation by the end of May.... Dan Straily was shelled in his first rehab start but turned in five solid innings in his second start on Wednesday. There's no word on whether this will be his last rehab start or not but it seems like he's getting closer to returning to the rotation for Miami.... Jason Vargas is potentially going to join the Mets rotation next weekend after one more rehab starts for Las Vegas on Monday. Mac Williamson, San Francisco Giants - Hunter Pence's injury replacement Mac Williamson is interesting in deep leagues as a retooled swing with Justin Turner's hitting coach led to a terrific spring that carried over into AAA where he hit .487/.600/1.026 in 11 games with six homers and 16 RBI. He started for Pence in his first game up Friday and homered in that game too, his only hit in four at-bats. Williamson has only shown this elite level of pop in 2013 in High-A where he hit 25 homers. He's a guy to target in NL-Only for sure as he's getting at bats for at least a 10 day period, and deep mixed leagues could probably warrant a flier if you have a churn and burn spot on your bench. ESPN Ownership - 2.2%, 2.1% growth in the last seven days. Tyler O'Neill, St. Louis Cardinals - Tyler O'Neill was called up by the Cardinals earlier this week but has been limited to two pinch-hit appearances so far. If O'Neill was able to get some consistent playing time he could make for a really interesting outfield option with his power potential. Before getting the call this year he posted a .449 ISO with six homers in 12 games and in 2017 he hit 31 homers between AAA with the Mariners and then the Cardinals. It feels odd that the Cardinals would call him up and then proceed to not play him considering how hot he was in AAA, but to each their own. Until we see some evidence he's going to get consistent at-bats he's an NL only reserve for now. ESPN Ownership - 6.3%, 5.8% growth in the last seven days. For members, click here to see the AL Report as well as the NL report.